Nice that the boost setup that tow trucks have. I'd keep the main connections right on the battery. Less connections to fail. You could put in a fuse block for your smaller loads to neaten things up. Nice work on the mount! Good deal! 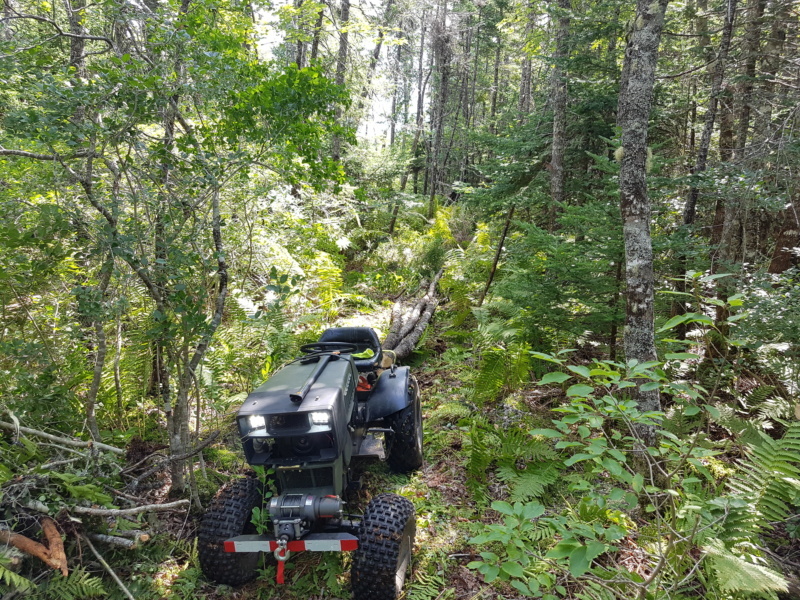 Unstuck that power atv! 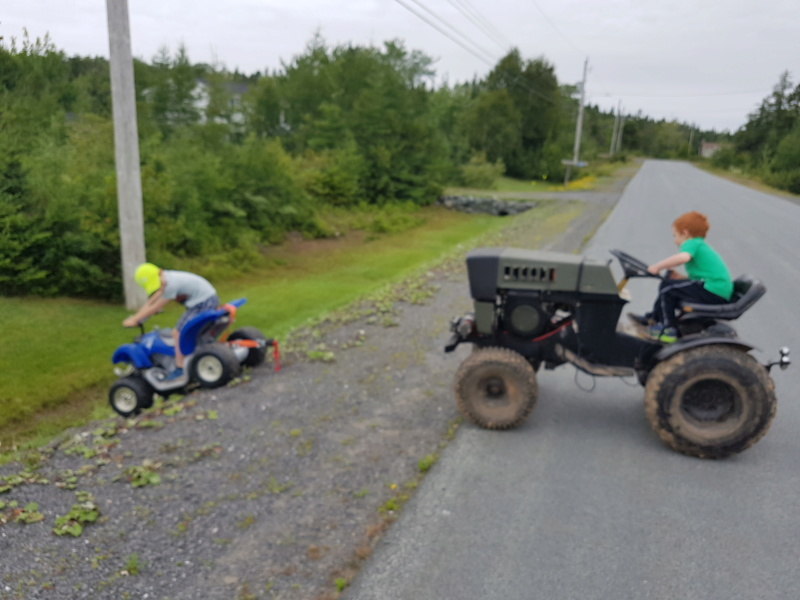 Are those wires or small pieces of vegetation dangling under your tractor? @Crazy_Carl that's the winch controller line, I haven't hard wired it yet, I'm going to run both. 2 toggle switches one to power the other so my kids dont destroy my cable. 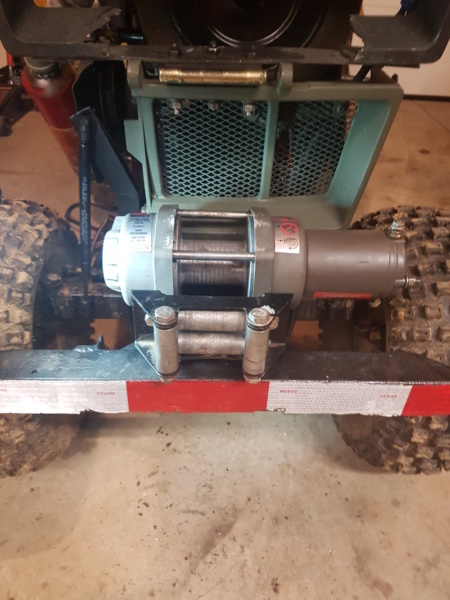 Nice winch! 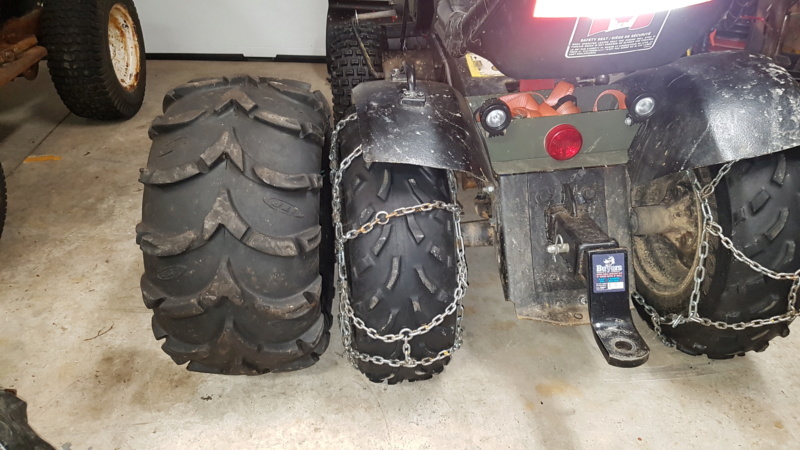 Do you plan to put different tires on it? It's a beaut.... I love suburbans. 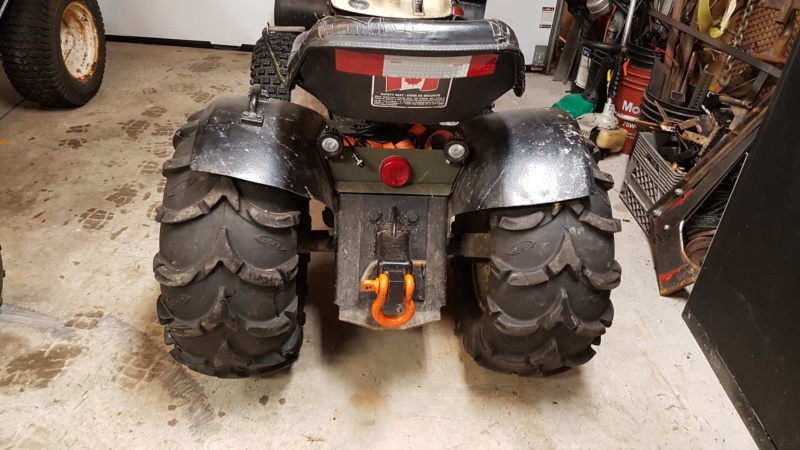 Those are some wide Mud Lites!!! 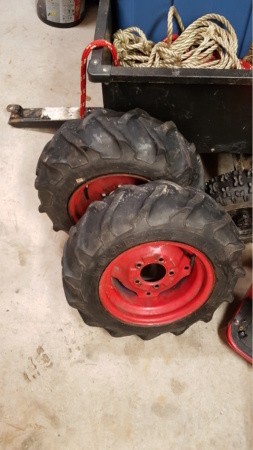 Definitely gonna be a big improvment in the traction department. Great build man! I always liked the way skinny tirea looked on a Sears but those mud lites are XLs. You should have plenty of traction. There alittle worn in the middle so dont be afraid to run them a little bit hire psi. Maybe 10 or 11.
i also have a set of these i might run them in the front but if i do that i have to beef up the front. Oooh those are sweet. How thick are those? Well I wouldn't really recomend that. 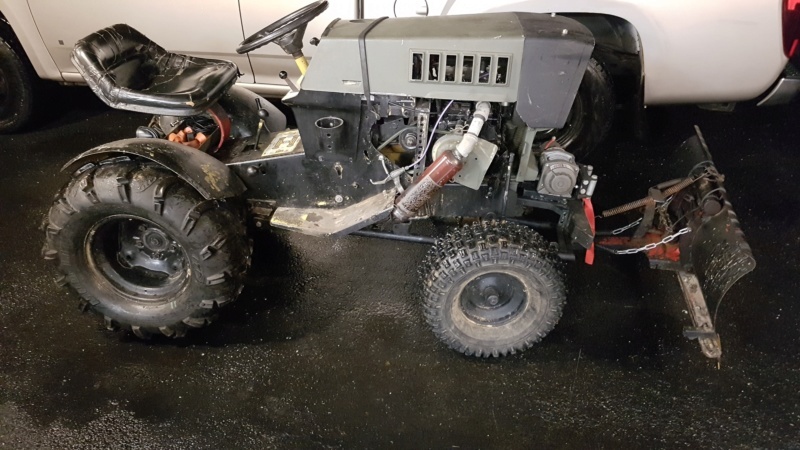 It puts alot more strain on your motor and other components and if you plan on doing any trail riding or mudding all that wheight will not get you anywhere. 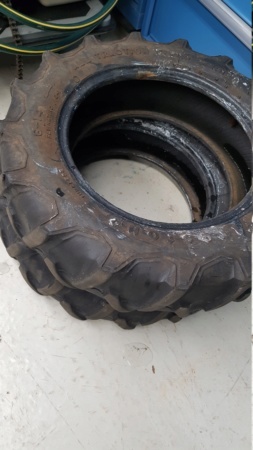 If you want to have the weight for doing yard work you should get wheel weights you can easily remove. Jusy my opinion. Do what ever you think is best. I assume these are 23 inch? 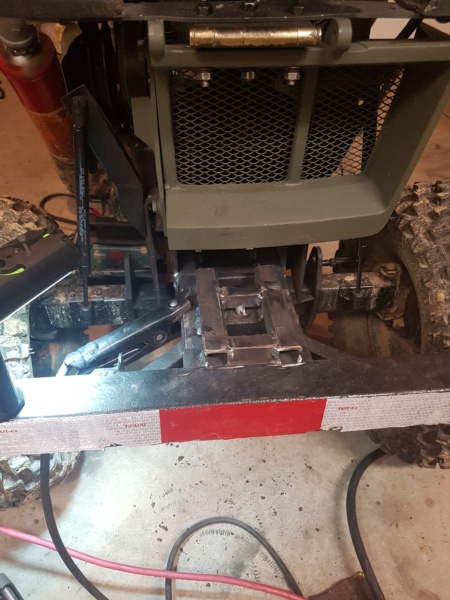 If you want to run them in the front and you want it to sit level you might have to get/make a new front axle that has straight spindles instead of J spindles. 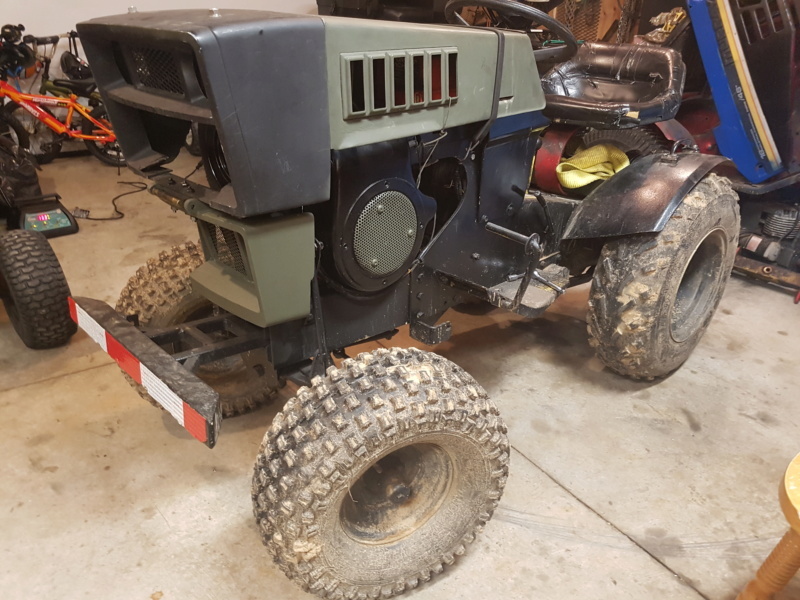 @mowerjunkie03 thats the plan i have a extra front axle i want to mod, the best thing if i dont like it, i can swap back the oem one and put the other one on frankensears. oh man they just fit , so beefy. a little rough on hard packed.